I cut up and cooked all the vegetables yesterday for this turkey chili. Using my food processor made short work of the mushrooms, onions, chiles, and bell pepper. We use a lot of mushrooms to get some depth of flavor that ground turkey just not impart on its own. When the chili is almost done we add some fish sauce to try to take away some of the sweetness. I do this with spaghetti sauce too. Fish sauce is my secret weapon! 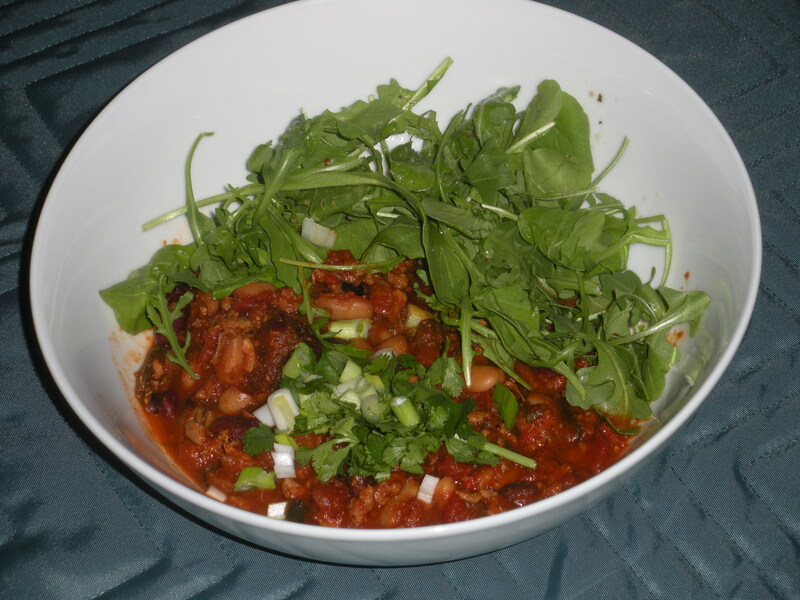 This entry was posted in Poultry and tagged chiles, Chili, ground turkey, mushrooms. Bookmark the permalink.